A program that is central to President Obama’s strategy to toughen enforcement of immigration laws is facing growing resistance from state governments and police officials across the country. Late Wednesday, Gov. Pat Quinn of Illinois said he was pulling his state out of the program, known as Secure Communities, the first time a state has sought to withdraw entirely. In California, where the program is already under way throughout the state, the Legislature is considering a bill that would allow counties or police agencies to choose whether to participate. In Massachusetts, Gov. Deval Patrick has held a series of heavily attended and sometimes raucous meetings on the program in an effort to vent criticism and build support for the administration’s approach. In Maryland, Montgomery County considered withdrawing, then concluded reluctantly that it had to take part. Under the program, the fingerprints of every person booked by the police are checked against Department of Homeland Security databases for immigration violations. That is in addition to routine checks against the F.B.I.’s criminal databases. State officials and federal lawmakers have questioned the program, saying that Homeland Security officials conveyed misleading information about whether participation was mandatory or whether states could opt out. Some state officials, led by Governor Quinn, said the program was not accomplishing its stated goal of deporting convicted criminals, but had swept up many immigrants who were here illegally but had not been convicted of any crime. Mr. Obama has begun an effort, seen on both sides of the aisle in Congress as an uphill fight, to win support for some kind of immigration legislation this year. But the resistance to Secure Communities has exposed tensions in the president’s immigration strategy, which has led to record numbers of deportations — almost 800,000 — in the past two years. The deportations have antagonized Latino immigrant communities that want Mr. Obama to press for legislation offering legal status to illegal immigrants, and that strongly supported Democrats in recent elections. Yet the deportations have not convinced many Republicans that the administration is strong enough on enforcement. The states’ objections are setting up a confrontation with the Department of Homeland Security, whose secretary, Janet Napolitano, has said that Secure Communities is mandatory and will be extended to all jurisdictions in the country by 2013. The program, started in Texas in 2008, is currently operating in more than 1,200 local jurisdictions. At a Congressional hearing this week, Ms. Napolitano said that the program was crucial to the department’s goal of finding criminal immigrants in state and local jails and deporting them. Statistics from the immigration agency showed that nearly one-third of immigrants deported from Illinois under the program had no criminal convictions. It is a civil violation for an immigrant to be in the United States illegally; it is not a crime. “Illinois signed up to help I.C.E. remove criminals convicted of serious crimes, but based on the statistics from I.C.E., that’s not what was happening,” said Brie Callahan, the governor’s spokeswoman. 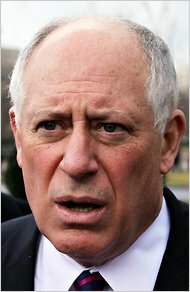 Governor Quinn, a Democrat, suspended the program in November and entered negotiations with homeland security officials. Illinois officials decided to withdraw after concluding that the immigration agency’s operation of the program was “flawed,” the governor’s office said. So far, 26 out of 102 local jurisdictions in Illinois had begun participating. Governor Quinn asked the agency to “deactivate” those places. Immigration agency officials said that John Morton, the head of the agency, would go to Springfield, Ill., on Friday to meet with officials there. In a statement, the agency said it was conducting a full review of the program “to identify any irregularities that could indicate misconduct in particular jurisdictions” and to tighten its focus on criminals. Most criticism of the program has come from Democratic allies of Mr. Obama. The Congressional Hispanic Caucus has asked him to suspend the program and re-organize it to focus more closely on deporting violent criminals, drug traffickers and other serious offenders. The American Immigration Lawyers Association also called on Mr. Obama this week to suspend the program. Republicans in Congress, seeking even tougher enforcement of immigration laws, would like to see more of the program. California’s concerns were first raised by several local law enforcement officials, including Michael Hennessey, the longtime sheriff of San Francisco. They argued that engaging local police in immigration enforcement would erode hard-earned trust with Latino and other immigrant communities. Representative Zoe Lofgren of California, the top-ranking Democrat on the House Judiciary immigration subcommittee, began questioning immigration agency officials on whether local police and governments could opt out. This year, the National Day Laborer Organizing Network, an immigrant advocate organization, obtained a trove of e-mails and other internal documents concerning Secure Communities from the immigration agency through a Freedom of Information request. After examining those documents, Ms. Lofgren and Senator Robert Menendez of New Jersey, also a Democrat, demanded that the homeland security inspector general open an investigation. Ms. Lofgren said officials had deliberately misled local governments into thinking they could choose to opt out of the program. “I believe that some false and misleading statements may have been made intentionally, while others were made recklessly,” Mr. Lofgren wrote the inspector general. In an apologetic response, Mr. Morton, the head of the immigration agency, said the agency “takes full responsibility for the confusion and inconsistent statements” about participation. But he said expanding Secure Communities remained a top priority. In Massachusetts, Governor Patrick said late last year that he would accept the program statewide, then paused after an outcry from immigrant organizations, who said it was bound to catch many illegal immigrant workers with no criminal history. The town meetings he organized have drawn both opponents and very vocal supporters of the program. This entry was posted in Press (California), Press (Illinois), Press (New York), Press (Washington DC) on May 6, 2011 by Ian. Governor Pat Quinn is ending Illinois’s participation in a controversial federal immigration program meant to deport immigrants guilty of serious crimes, which has resulted in the detention of mostly immigrants convicted of no crimes or minor offenses. Illinois is the first state in the nation to agree to participate and then withdraw from the Secure Communities program, which obligates local law enforcement agencies to share fingerprints of anyone arrested with the Immigration and Customs Enforcement agency. As the Chicago News Cooperative reported in March, ICE officials and contractors had aggressively pushed to implement the program in Chicago despite county and city ordinances that appear to prohibit city and county law enforcement agencies from participating. Quinn’s announcement came as the state legislature was scheduled today to debate and vote on the Smart Enforcement Act, which would have allowed counties to opt out of the program, require an accounting of its cost to local law enforcement agencies and mandate it only be used for immigrants with serious criminal convictions. Senate president John Cullerton and House Speaker Mike Madigan on Saturday attended an immigrants rights rally centered on the Smart Enforcement Act and the Illinois DREAM Act, also scheduled for a vote today, which would provide scholarships for undocumented students at no expense to taxpayers. ICE officials have said state and local participation in Secure Communities is mandatory and plan to implement the program nationwide. But Quinn said in a statement today that the agency has not answered state and local officials’ questions about the high number of immigrants detained after being arrested for often minor offenses, including traffic stops. ICE statistics show that in Illinois more than three quarters of those targeted for deportation through the program were convicted of no crimes or minor misdemeanors. “Secure Communities as it has been implemented has turned into a program that is indiscriminately destroying families,” said Joshua Hoyt, executive director of the Illinois Coalition for Immigrant and Refugee Rights, which obtained internal ICE documents showing how ICE officials strategized to convince Cook County Sheriff Tom Dart and Mayor Richard M. Daley to cooperate with the program. ICE officials were upset that Washington D.C. opted out of the program and New York State also refused to participate, testing ICE assertions that the program is mandatory, as revealed in documents obtained by a Freedom of Information Act request by the National Day Laborer Organizing Network (NDLON) and Benjamin Cardozo Law School. The Illinois coalition received and analyzed the Illinois documents. NDLON legal affairs director Chris Newman said other states will be closely watching what happens in Illinois, amidst growing national discontent over the program. This entry was posted in Featured, Press (Illinois) on May 4, 2011 by Ian. Federal immigration officials, frustrated by the refusal of Chicago and Cook County to join a controversial program aimed at deporting immigrants with criminal records, pressed Mayor Richard M. Daley and Sheriff Tom Dart in an aggressive campaign to obtain participation from reluctant police authorities, according to internal documents. Last spring, Immigration and Customs Enforcement officials tried to put the program, Secure Communities, in effect in Cook County without clear consent from the sheriff’s office. Their advisers proposed asking Rahm Emanuel, then White House chief of staff, to use his Chicago connections to intervene with unresponsive local leaders. 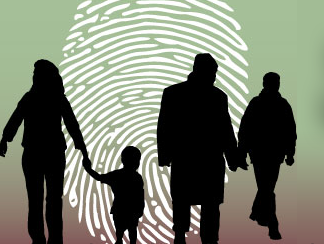 Chicago and Cook County were among several localities nationwide that refused to enroll in the program, which involves sharing fingerprints of anyone arrested with the Department of Homeland Security. Chicago and Cook County cited so-called sanctuary ordinances that prohibit local officials from involvement in immigration enforcement. The Secure Communities program is in effect in more than 1,000 jurisdictions in 40 states, including Illinois. The federal agency plans to take it nationwide by 2013 and says it does not need local approval to do so. E-mails and other documents — obtained through a Freedom of Information Act request by the National Day Laborer Organizing Network, an immigrant-rights group — show that immigration officials saw Chicago and Cook County among the cities to be test cases for whether localities are allowed to opt out of the program. Secure Communities is meant to find and deport illegal immigrants found guilty of serious crimes. But the immigration agency’s statistics through February 2011 show that 32 percent of immigrants put into deportation proceedings in Illinois had no criminal convictions. Nationwide, 28 percent had no criminal record. Brian Hale, a spokesman for Immigration and Customs Enforcement said in an e-mail that the agency did not need permission from state or local authorities to carry out Secure Communities. The idea to involve Mr. Emanuel, he said, came from contractors working for the agency and did not reach top ICE officials. He said that ICE was not aware of any contact with Mr. Emanuel. The e-mails show disagreement within the agency over whether state and local governments can refuse to participate. 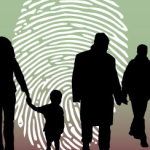 Local sanctuary ordinances do not bar participation, some argued, because Secure Communities requires local officials only to share fingerprints but does not require them to question or detain suspected illegal immigrants. A spokesman for Mr. Emanuel would not comment on whether ICE contacted him while he was at the White House. As mayor, the spokesman said, Mr. Emanuel will adhere to Chicago’s sanctuary ordinance. Immigration and Customs Enforcement signs agreements with state police agencies, then seeks to enroll that state’s county and city law enforcement agencies in Secure Communities. On April 28, 2010, Immigration and Customs Enforcement sent an e-mail to Mr. Dart’s office saying the Secure Communities program would be activated May 5. Mr. Dart’s chief of staff at the time, Bill Cunningham, acknowledged the request, by e-mail. He mentioned the sanctuary ordinance but cited federal law that prevented local governments from interfering with immigration enforcement. “The system can be activated without our approval,” he wrote. Even after John Morton, assistant secretary of Immigration and Customs Enforcement, traveled to Chicago on May 19 to meet with Mr. Dart and Mr. Daley in an apparent effort to secure their cooperation, Chicago and Cook County did not adopt the program. Then, on May 27, the Illinois State Police told the federal agency to back off. The state police’s legal department did not view Mr. Cunningham’s comment as consent, according to an e-mail. “This is not good, not good at all!” the Secure Communities regional coordinator, an agency contractor named Dan Cadman, wrote in an internal e-mail. “Time perhaps for a full court press?” Mr. Hale said Mr. Cadman’s contract was terminated on Friday. Immigration and F.B.I. officials met Aug. 27 and decided the F.B.I. would “reach out to personal contacts” in Chicago and Cook County about Secure Communities. But in November, the office of Gov. Pat Quinn ordered the state police not to allow any more counties to enroll, pending a review of how the program was being carried out. Mr. Hale said the agency was still planning to put the program in effect here. 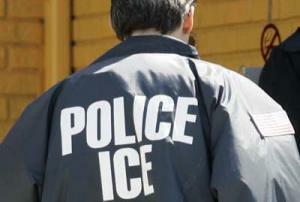 Immigration-rights advocates say the agency overstepped its bounds. “They were basically conspiring to make it appear Cook County had no choice,” said Joshua Hoyt, executive director of the Illinois Coalition for Immigrant and Refugee Rights, which obtained the documents from the National Day Laborer Organizing Network. Alderman Roberto Maldonado (26th Ward), who spearheaded the county sanctuary ordinance during his time as county commissioner, said Secure Communities “would violate the spirit” of the sanctuary ordinance. “They just come in here like Rambos and do what they want,” he said. This entry was posted in Press (Illinois) on March 29, 2011 by Ian. As they rode through Lake County’s immigrant neighborhoods serving arrest warrants, Sheriff’s Deputy John Van Dien and three fellow officers were repeatedly confronted by a public relations problem nagging local law enforcement agencies nationwide. They weren’t hunting for illegal immigrants, but at nearly every stop, local residents seemed to think they were. In Mundelein, neighbors watched the burly officers take a handcuffed Mexican immigrant away from his startled children in a scene that resembled thousands of family separations caused by immigration raids. But this was the case of a legal U.S. resident who had skipped court on drunken driving charges. A few miles away, a Polish woman arrested for drug possession woefully admitted that her U.S. visa had expired, making her deportable and leaving the officers to wonder aloud about the fate of her three children. A debate over how local law enforcement should deal with illegal immigration has heated up in the wake of a new Arizona law that allows police to check the status of people they stop if they suspect them of being illegal immigrants. In Lake County and other areas where immigrant communities have swelled, it is a question that street cops face every day. “You’ve got to be so careful, because they’ll accuse you, (saying) ‘You’re just picking on me because I’m Hispanic,'” said Van Dien, 43, during a recent sweep of court-ordered arrests in Lake County that the Tribune was permitted to observe. Many local law enforcement officials complain that their work has been increasingly complicated by the volatile immigration issue, leading some of them to argue for offering legal status to the estimated 11 million people in the U.S. illegally. In a vacuum created by Congress’ inaction on immigration, the law enforcement officials say they’re fighting crime amid a patchwork of sometimes counterproductive local solutions, ranging from get-tough state laws like Arizona’s to “sanctuary” ordinances like Cook County’s that instruct authorities not to participate in immigration enforcement. Prodded by calls to help in an escalating federal crackdown against illegal immigrants, many local agencies, such as the Lake County sheriff’s department, have begun routinely reporting the names of non-U.S. citizens who’ve been arrested for other crimes to U.S. Immigration and Customs Enforcement. The extra effort adds to a web of local participation in immigration enforcement that includes federal authority for some police agencies to initiate deportation themselves. At the same time, officials worry their involvement is getting in the way of other police work. The often time-consuming process of confirming whether a prisoner is an illegal immigrant eats into already strained local budgets and is complicated by the spread of fake IDs, which make it difficult to know who is who, law enforcement officials say. Meanwhile, they add, immigrant residents wary of being harassed or deported are unwilling to cooperate in investigations. In the past four years, Lake County has seen its foreign-born population jump by nearly 19 percent to about 13,000 residents. Curran estimates that 20 percent of his jail population is in the country illegally. The former Democrat, who recently switched to Republican in his bid for re-election in November, has joined other law enforcement officials around the country in opposing laws like Arizona’s. For Curran, it’s part of a recent shift in his stance on immigration. In 2007, he sought federal approval for his deputies to initiate deportation proceedings, but that was denied. Instead, Curran’s department began holding suspects after reporting their names to ICE. This year, Curran began arguing that granting legal status to undocumented immigrants in the country would be the most pragmatic solution, both in terms of finding the right people to arrest and not overloading the jails. “From a law enforcement perspective, I need to know who’s here,” he said. His Democratic opponent, Douglas Roberts, who also disagrees with the Arizona law, accuses Curran of pandering to Latino voters. In the communities where Curran’s deputies are working, winning over the immigrant community has been an uphill battle, made worse by a recent spate of incidents in the Chicago area in which three U.S. citizens say they were nearly deported by mistake. In Lake County, a U.S. citizen born in Mexico was jailed for five days after U.S. marshal deputies mistakenly arrested him instead of an illegal immigrant with the same name, according to the man’s attorney and family. One U.S. citizen born in Puerto Rico was jailed for nearly a week in Cook County, even after his mother showed U.S. officials his birth certificate, his lawyer says. A Mexican-born U.S. citizen in McHenry County claims in a federal lawsuit filed last month that he was wrongly jailed overnight after showing his proof of citizenship. Officials in the first two cases acknowledged the mistakes and said they released the men as soon as the errors were discovered. A McHenry County sheriff’s spokeswoman declined to comment. In that climate, Van Dien and the other sheriff’s deputies pound on doors in some of the same neighborhoods where ICE officials recently arrested 72 illegal immigrants. Driving an anonymous-looking minivan and an SUV through leafy cul-de-sac communities and lakeside trailer parks, the officers said they were not concerned about immigration status. But sometimes the topic becomes an obstacle to doing their job. “You’ll have a (domestic violence) victim who refuses to press charges because they’re worried about the husband being deported, even though she’s got a black eye,” Sheriff’s Deputy Felix Pena said. The officers worked from a stack of warrants that included immigrants and U.S. citizens from various ethnic backgrounds. The nearly 20 fugitives they sought had missed court appearances after being charged with crimes that included drunken driving, aggravated assault or marijuana possession. Van Dien — who is 6 foot 4 and 370 pounds with a Bamm-Bamm tattoo on his forearm — cut an intimidating figure each time he got out of the van. The native of North Chicago drove the van with a pouch of chewing tobacco in his cheek and an automatic rifle and sledgehammer within arm’s reach. He said he sees his job through the eyes of his 6-year-old daughter and through how much the region has changed since his boyhood. Outside the Mundelein home of Ernesto C. Manjarrez, whom the officers found hiding under a bed, Van Dien appeared emotional as he recounted how the man’s crying preschool-age daughter had tugged on his arm in an effort to free her father. At the time, the officers believed that Manjarrez, who faced a felony drunken driving charge, was an illegal immigrant and that they had just split up a family. But the Lake County sheriff’s office checked his identity with ICE, discovering Manjarrez is in the country legally. Though he was released two days later on bail, a felony conviction could still result in eventual deportation for legal U.S. residents. “I don’t know what’s going to happen,” Manjarrez told the Tribune, acknowledging before going to jail that potential problems lay ahead. The officers’ hard-charging style sometimes puts off people in Lake County’s immigrant community, making them unwilling to cooperate in investigations, local activists say. That notion chilled nearly every conversation the officers had with the immigrant relatives or neighbors of the fugitives they sought, with some responding in terse one-word answers. During one nighttime search inside a Diamond Lake area trailer-park village for an alleged drunken driver, a neighbor walking with his young daughter froze nervously as police flashlights sliced across his face. When it seemed obvious the Spanish-speaking man knew nothing about his neighbor, some of the officers thanked him and left. Van Dien, seeing an opportunity, got out of his van and ordered the man, half his size, to follow him to the rear. Opening the door, Van Dien dug into a plastic bag and pulled out a stuffed purple “Barney” dinosaur, handing it to the man’s smiling daughter. “Thank you,” her beaming father said in English. “You’re welcome,” Van Dien replied before driving off to search for another fugitive. This entry was posted in Press (Illinois) on June 21, 2010 by Ian.